NTT Inc. - What are the Main Causes of Arc Flash? What are the Main Causes of Arc Flash? When working with electricity, or any device that uses electricity, it is important to protect yourself and those around you. As a business owner, you need to do what you can to keep your employees safe. The best line of defense against electrical issues and injuries is proper training and knowledge. Arc flash is a problem that can prove especially dangerous, which is why you need to do your part and keep all employees educated on how to avoid this issue and how to remain safe. An arc fault goes by several names, including an old name of flashover. This is an explosive electrical discharge that occurs when current is shorted from a conductor to the ground or another voltage phase. It is referred to as an arc flash and blast, as the electricity arcs from one point to another, causing the explosion. As the arc flash occurs it is projected outward by the electrical cabinet’s shape. 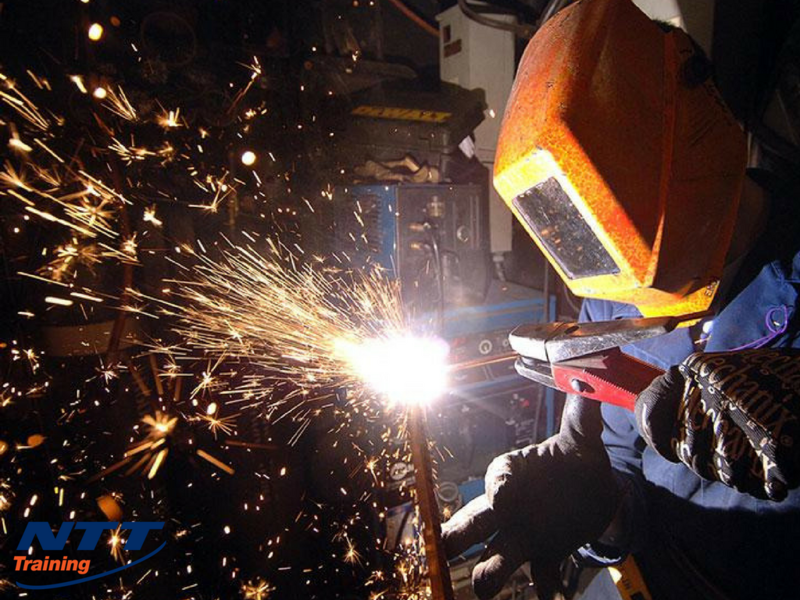 Employees must be protected by arc flash rated clothing, as they are working on energized electrical equipment. Why Does an Arc Flash Happen? Arc flash can occur for many reasons. For starters, if there is a gap between different electrical conductors, the electricity may attempt to jump conductors. More often though, an arc flash is caused by a worker failing to take proper precautions, to have taken a shortcut, or was distracted causing an accident. The use of an incorrectly rated meter on a circuit outside of the meter’s safety range can easily cause an arc flash. Outside of direct worker error, an arc flash can be caused from the buildup of dust and other debris around a conductor. This may cause a faulted path in how the electrical current runs, causing it to seek out another connector point. When this occurs, the electrical current may be drawn to another outside conductor, which creates the electrical, arc flash. How Can Workers Keep Themselves Safe From Arc Flash? Arc flashes can prove especially dangerous in the work place. This isn’t just the movement of electricity but it may lead to an explosion or the movement of electricity through the body as electricity uses the body as a pathway from one conductor to the other. Should electricity travel through the body it may cause the heart to stop or other organs to stop functioning. Knowledge is the first step towards ensuring workers keep themselves safe. With the knowledge on hand, they are able to avoid putting themselves into dangerous situations, which greatly reduces the chance of an arc flash. Before working on any kind of equipment, it is necessary for the employee to read over the electrical distribution system documents of the machinery. Your company should maintain these documents. By doing so, employees can go over important information that is specific to the equipment before working on a device. This way, they will have a better understanding of how to avoid an arc flash. Whenever workers are working with energized equipment, it is important to turn it off before performing any kind of repair. This way there is not an electrical current running through the machinery while the employee performs his or her work. Now, there are some times where it is not possible to turn a device off, which does increase the risk. Due to this, there are important steps every worker needs to follow whenever it comes to working with powered-on devices. First, the employee needs to read warning labels on the equipment. These labels should be new and easy to read. They should have on protective clothing, use proper equipment and inspect the machinery before working on it to ensure all of the active components within the equipment are active and there are no other problems. How Can Training Help to Ensure Safety? Electrical safety training is essential when it comes to keeping your workers safe. This is because they will learn how to identify potential problems while also understanding why they need to perform specific tasks. With the training, they will know the possible warning signs for an arch flash. All other safety steps stem from the safety training. Due to this, it is extremely important for you and your employees to receive the latest safety training. The training not only helps keep your machinery up and running longer but you’ll reduce the chance of injuries on the job as well. Keeping all of your employees safe is your top priority as a business owner. One of the best ways to do this is through proper education, such as the arc flash courses and seminars NTT Training offers. So if you’re ready to do your part and increase safety knowledge around your place of business, check out the offering of seminars and educational seminars offered through this ACCET accredited training company today. Contact us today!